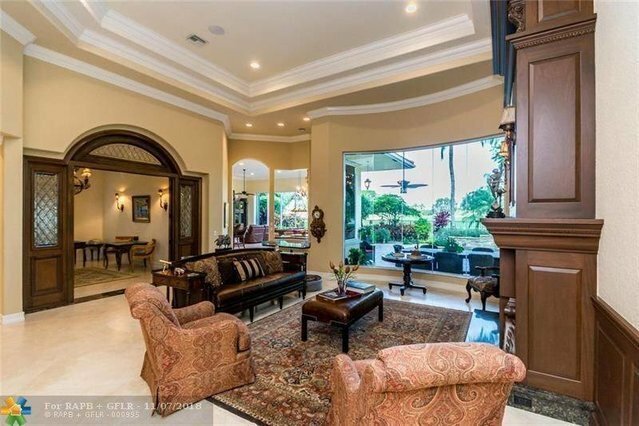 Exceptional custom golf estate in prestigious Weston Hills Country Club. Premium location with views of 3 fairways. Grand entry doors welcome you into a raised foyer. Maintained to perfection, impact windows and doors, over $100,000 upgraded landscaping, completely rebuilt pool/spa with new pavers. Marble and hardwood floors throughout, crown molding, plantation shutters, gas fireplace and wet bar. Master suite with his/hers baths, exercise room and 2 large custom walk-in closets. Wolf kitchen appliances, induction stove. Huge family room.